What common eye problems may affect you? Eyes are the most important part of your health. All the people only rely on their eyes to see and experience everything that is going on around them. There are also some who have lost their vision that has made their lives problematic. Due to carelessness also, people lose the gift of vision. Therefore, it is necessary to identify and treat eye diseases as soon as possible. If you face any kind of vision problem, it is strongly recommended to get checked by the eye specialist immediately or the condition may get worse. Do not take your eyes for granted. People usually complain of various eye problems like eye blurriness, spots, glaring of lights etc. Color Blindness: It is not a blindness but the deficiency in the way you recognize colors. With this, you will have difficulty in distinguishing colors such as blue and yellow or red and green. This condition affects males more than females. Around 8% of males and 1% of females have developed color blindness. When the person faces difficulty is identifying colors, he may be having color blindness. In this condition, tinted glasses could be helpful. 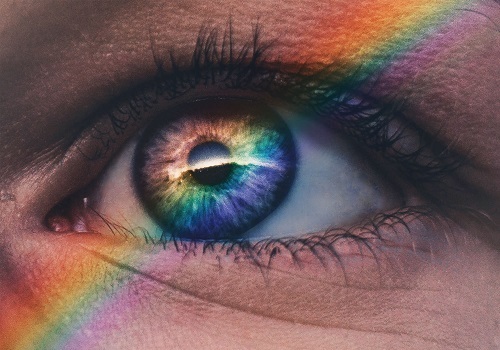 Some people also use special lenses to enhance the perception of colors. There are certain exercises or things you can do in order to figure out the color. With your friend or family’s help, you can organize your clothing to avoid any kind of color clashes. Myopia: One of the most common refractive error of eye is called myopia or nearsightedness. In this condition, a person may have difficulty in seeing the things that are located at some distance. Far away things are hard for people who have myopia to see. People who have a family history of it or they do close-up readings are more prone to this kind of eye condition. It makes people to have difficulty in driving, playing games or watching T.V. Some symptoms may include eye squinting, headaches, the strain on eyes etc. In that case, good quality of eyeglasses is recommended by the eye specialists. These lenses include an anti-reflective coating, high index lenses which also helps to protect eyes from UV radiations allowing people to see the distant objects clearly. Hypermetropia:Most of the people develop hypermetropia which is also called farsightedness that is a condition in which you may see distant objects clearly but may have difficulty in seeing the nearby objects. You won’t be able to do things like knitting, reading, writing etc because of the inability of watching the closer objects. People may feel headaches, the strain on eyes, or fatigued as the symptoms. This problem usually occurs when the light rays entering the eye focus behind the retina instead of falling on it. It can be corrected with correct contact lenses or glasses. Usually, aspheric high-index lenses are recommended by the ophthalmologist. For children who spend most of their time outdoors, photochromic lenses are prescribed that darken in the response to the sunlight. Presbyopia:This kind of ability occurs with age. It is the normal loss of small prints that depends on the age factor. Usually, people begin to have this problem after the age of 40. It is also called “old eye”. People usually have trouble in seeing small prints like text messages on their phone or other letters in the computer screen. Its symptoms may include visual fatigue, eye strain, headache, tiredness etc. Bifocal lenses are usually or reading glasses are generally prescribed that correct both near as well as distance vision. Astigmatism:It is not an eye health problem, it is simply how the eye focuses light. In this condition, multiple focus points take place either just in front of the retina or just behind it. They can’t focus on just one point on the retina. It causes vision to be blurred or distorted to some degree resulting in the symptoms like a headache, blurred vision etc. Doctors prescribe glasses or contact lenses for the problem but some patients may also undergo surgery. 1. It is important to eat well. You should incorporate healthy food rich in vitamins, nutrients as well as omega-3 fatty acids in the diet. 2. People who smoke have more risks of getting cataracts, or nerve damage. So, it is better to quit smoking. 3. Wear sunglasses that protect your eyes from the ultraviolet radiations. 4. Staring at a computer screen for too long may be harmful to eyes, this is why it is suggested to maintain some distance from the computer screen, blink more and take intervals in between.